Submitted 3 weeks 3 days ago by feeds user. 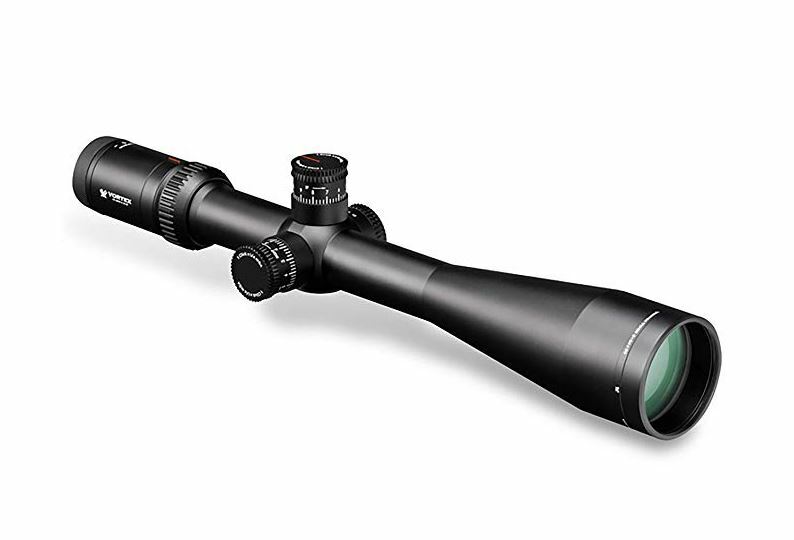 The Viper HS-T 6-24x50 is one of multiple configurations in the Viper HS-T (Hunting & Shooting Tactical) line. VMR-1 Reticle (MOA) is perfect for accurate holds at extended ranges . Featured length of the barrel is approximately around 15.5 inches Incorporating our premium, fully multi-coated, extra-low dispersion lenses brings excellent resolution and color fidelity. The XR coatings provide enhanced light gathering capability while Armortek coating protects the lenses. The exposed target-style turrets are constructed for precise and repeatable finger-adjustable clicks. A CRS Zero Stop allows for reliable return to zero capability after dialing temporary elevation corrections. A 4x zoom provides magnification versatility while the side focus parallax adjustment provides optimal image focus and parallax removal. The fast focus eyepiece allows the shooter to properly adjust the reticle to your eye. The one-piece tube is o-ring sealed and argon purged to ensure waterproof and fogproof performance. The Viper HS-T is a versatile yet simple riflescope that is at home in a hunting, target shooting, or tactical application.